We have many reasons to rejoice in our work together over the past year, fulfilling our mission to bring the teachings to everyone, anywhere in the world, who wants them. EVERY DAY last year, on average, 125 people picked up one of our free books, or ordered one of our titles, or downloaded one of our ebooks from Amazon, iTunes, and other vendors for their e-readers. Over 40,000 people benefitted from quotes, images and short teachings shared daily on our Facebook page, and thousands more benefitted from being part of our Twitter and Google Plus communities. EVERY MONTH over 6,000 people receive our monthly eletter containing new teachings and news about the Archive's latest projects. Nearly 50,000 people visit LamaYeshe.com each month to read teachings, listen online, and view our Image Gallery, from dozens of countries around the world. All of us can rejoice that every day, likely every minute, someone is benefitting from the work of the Archive, and finding peace, wisdom and happiness in the words of our precious Lamas. As you know, for the past few years we have been publishing Rinpoche’s lam-rim teachings in our FPMT Lineage Series. 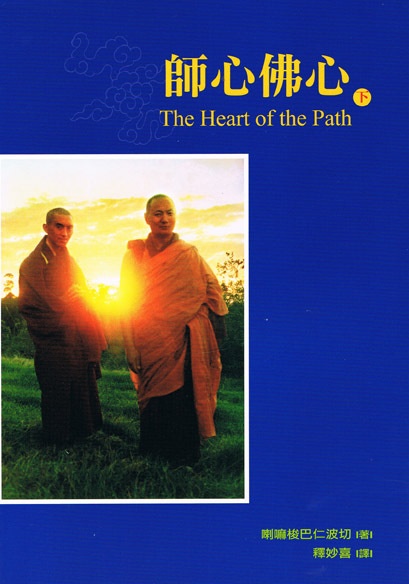 Heart of the Path, How to Practice Dharma and The Perfect Human Rebirth have been published. Next up is the spectacular Moon in Rippling Water, Rinpoche’s extensive emptiness teachings. This amazing book is forthcoming in 2015. Following that will be Good Life, Better Death: Teachings on Impermanence and books on the three lower realms, refuge, and karma, rounding out the path of the practitioner of least capability. Then there will be two books on the path of those of intermediate capability and four books on bodhicitta. These books will be published over the next three to four years. 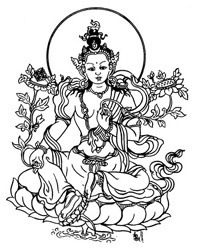 In the meantime we have started to publish some of Rinpoche’s lam-rim teachings in ebook format, starting with the twenty-fourth Kopan course, 1991. 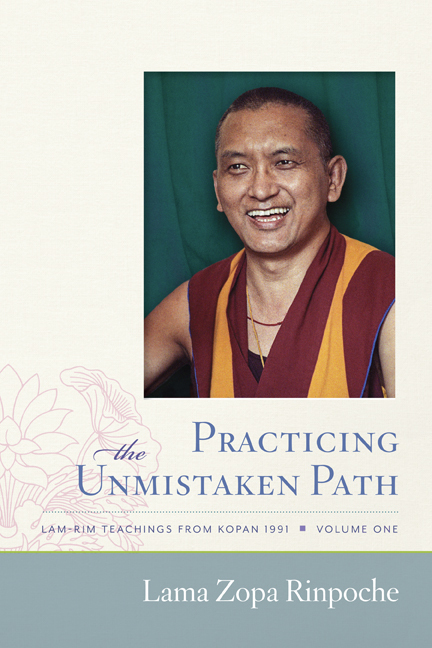 Volume 1 of 4, Practicing the Unmistaken Path, is now available. Watch for the subsequent three volumes over the next few months. If people like this format we will publish more ebook-only teachings, and if there’s the demand we can also make these books available in print. At Rinpoche’s specific request we will be publishing his 2014 teachings in the UK. The book will contain teachings on emptiness, such as “the room before it is named,” showing how the mind moves from merely labeling something to believing that label; guru devotion; the dangers of Shugden; the amazing qualities of Khadro-la; bodhicitta, tantra and much, much more. And we will be publishing Kyabje Zong Rinpoche’s teachings on thought transformation. 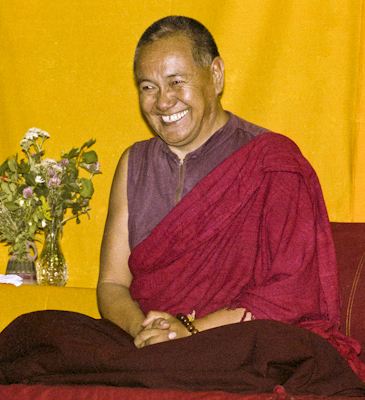 In 1978, Lama Yeshe brought the great renowned Kyabje Zong Rinpoche to the West for the first time. One of his major teachings on that trip was a two-week course on thought transformation, held in California and translated by Lama Zopa Rinpoche. This was a very special event and we have wanted to publish these teachings for some time. Now the time has come! We plan to publish both these books in 2015. We continue to make steady progress with this amazing project, by far the largest we have ever undertaken. The author, Adele Hulse, has made some final updates following Lama Zopa Rinpoche’s recent teachings in Australia, we are finishing off the maps, coming to the end of the first phase of photo selection (there will be hundreds of photos in the book) and have started copyediting the text. We plan to publish Big Love: The Life and Teachings of Lama Yeshe in 2016. To read many excerpts and view some of these amazing photos, visit our Big Love Blog. The Lam-rim Year will be an easy-to-use resource for Dharma students who wish to deepen their understanding and practice of the lam-rim. Following the outlines created by Pabongka Rinpoche and other lamas and drawing on the extensive material in the Archive, it will provide 365 days of inspiring quotes and thought-provoking commentary from Lama Yeshe and Kyabje Lama Zopa Rinpoche. This resource will also be made available as an ebook, a smartphone/tablet app and on line. We are extremely cognizant of the fact that we have not published any books by Lama lately and are working to redress that situation. Commentaries on Gyalwa Gyatso, Thousand-arm Chenrezig (teachings which can be seen on our YouTube channel), Manjushri, Vajrapani, Tara and Mahamudra are a few of the many possible books we are looking at. Please stay tuned for more news on these. LYWA-affiliated editors are working on several projects, albeit slowly! 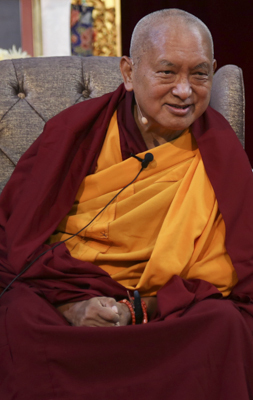 A book of Lama Zopa Rinpoche’s teachings on the four noble truths is forthcoming; Rinpoche’s Lama Tsongkhapa Guru Yoga, nyung-nä and Vajrayogini teachings are in the pipeline; more Heart Advice Series books are planned; and we have started on Lama Yeshe’s Dharma-dharmata teachings. We are working hard to find suitable tools for creating the multi-media ebooks that we have been envisioning. These books enhance the teaching manuscripts with photographs, audio, video and other material to provide you with extensive and varied explorations into a topic. While we can already create these multimedia ebooks for the iPad, we’d prefer them to be available on other kinds of readers as well, and hope to start publishing these new-format ebooks in 2015. In the meantime, we’re continuing to work with publishing houses around the world to translate and publish our Lamas’ teachings into languages other than English. At present, our books have been translated into 15 languages, and many more are in the works for 2015. Also, so far, ten of our titles have been formatted in Braille for the visually impaired. We have also embarked on a project to produce some of our books as audiobooks and have contracted with Audible for four titles as a start: His Holiness the Dalai Lama’s Illuminating The Path to Enlightenment; Lama Yeshe’s Becoming Your Own Therapist; and Lama Zopa Rinpoche’s How Things Exist and How to Practice Dharma. If this goes well we will create many more audiobooks. Of course, while these books are being edited, the collection of teachings and advice freely available on our website has grown by leaps and bounds. For example, in 2014 we added hundreds of pages of new teachings by Lama Zopa Rinpoche and Lama Yeshe, as well as commentaries, prayers, and short texts and practices. Rinpoche's Online Advice Book continues to grow as well, with many new advices posted every month. There are now over 1,500 advices on all manner of topics, from contemporary issues to detailed practice instruction. You can always see our past monthly eletters (and there are now nearly 140 of these) for a report on all the new additions to our website each month. 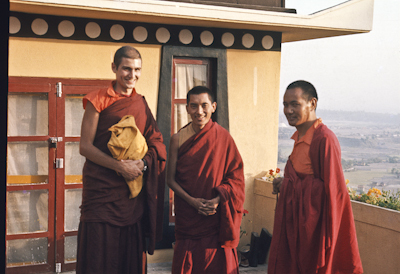 The LYWA Image Gallery is also under rapid development and hundreds of historic, FPMT-related photos dating back to the 1960s have already been posted. This is one of the most popular sections of our website and hundreds, even thousands, more photos are yet to come. This year the Archive website reached more people than ever before. As mentioned above, the number of visitors visiting the site has steadily grown with now more than 50,000 unique visitors every month from dozens of countries all over the world. As you might imagine, with all this activity our current website is bursting at the seams, so this year we began working on a complete website redesign to make it easier for you to find the Dharma you desire. Keep an eye out for the unveiling of the new LamaYeshe.com, coming in 2015! We have regularly been adding archival video to our YouTube channel, making these precious moments from the Lamas freely available to all and posting videos that most people have never even seen before. We have also begun a project to digitize all the video we have received over the years to enable us to continue bringing you even more of this precious archival material on the LYWA YouTube channel. This year we have also seen an incredible growth in connecting with students and practitioners through our social media communities. As noted above, more than 40,000 people are now following us on Facebook, Twitter and Google Plus and benefiting every day by contemplating and discussing quotes from the Lamas, viewing current and archival images and reading updates about related Dharma projects. Thank you again. We are able to do all this only through the kind support of our benefactors, and we invite you to join with us in this amazing work. Words cannot express our gratitude to all of you for your kindness.